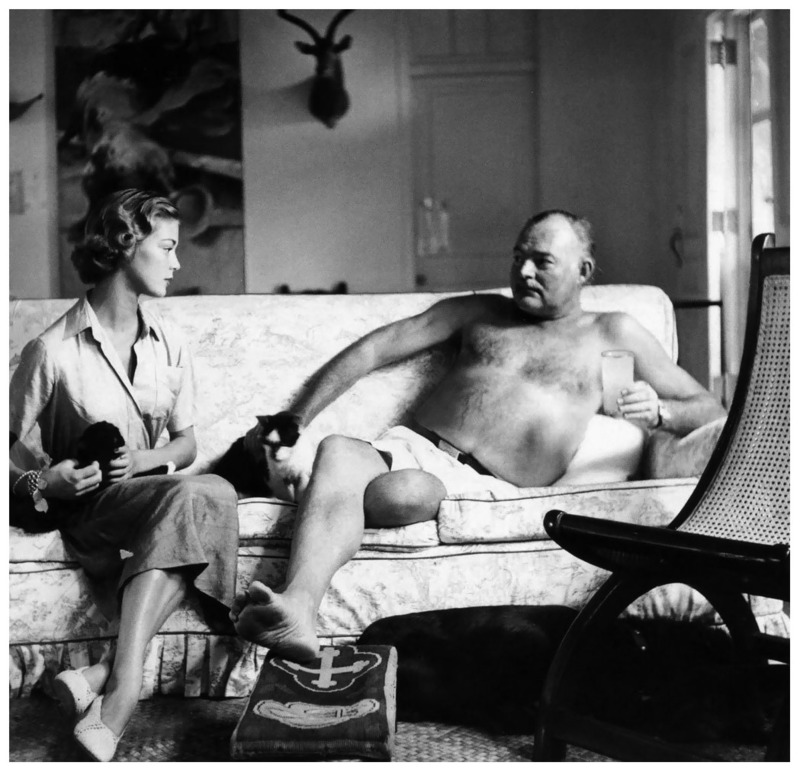 Papa Hemingway was a notorious lover, fighter, boozer, and hunter. Oh yeah, he also wrote books sometimes. 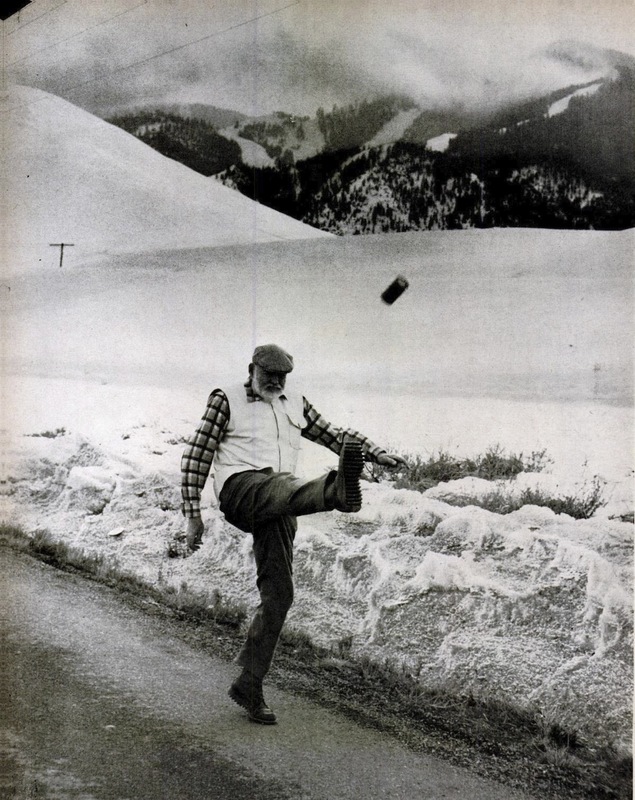 Perhaps the manliest man to ever walk this planet, Hemingway preferred to be drunk—"not drunk in any positive sense but just enough to be careless," he explains in The Sun Also Rises. He drank, he wrote, he sobered up and edited, then drank again. Unabashedly proud of his imbibing habits, Hem wrote to his heart's content about his love of alcohol. Below are some of Big Papa's finest words on wine, whiskey, daiquiris, and a very very special recipe for a Bloody Mary. Drink up! "Never delay kissing a pretty girl or opening a bottle of whiskey." "Don't you drink? I notice you speak slightingly of the bottle. I have drunk since I was fifteen and few things have given me more pleasure. When you work hard all day with your head and know you must work again the next day what else can change your ideas and make them run on a different plane like whisky?" "To make a pitcher of Blood Marys (any smaller amount is worthless) take a good sized pitcher and put in it as big a lump of ice as it will hold. (This to prevent too rapid melting and watering of our product.) Mix a pint of good Russian vodka and an equal amount of chilled tomato juice. Add a tablespoon full of Worcestershire Sauce. Lea and Perrins is usual but you can use AI or any good beef-steak sauce. Stir. (with two rs) Then add a jigger of fresh squeezed lime juice. Stir. Then add small amounts of celery salt, cayenne pepper, black pepper. Keep on stirring and taste to see how it is doing. If you get it too powerful weaken with more tomato juice. If it lacks authority add more vodka." "'The half bottle of champagne is the enemy of man." "You have to work hard to deserve to drink it. But I would rather have a bottle of Ballantine Ale than any other drink after fighting a really big fish. When something has been taken out of you by strenuous exercise Ballantine puts it back in. We keep it iced in the bait box with chunks of ice packed around it. And you ought to taste it on a hot day when you have worked a big marlin fast because there were sharks after him. " 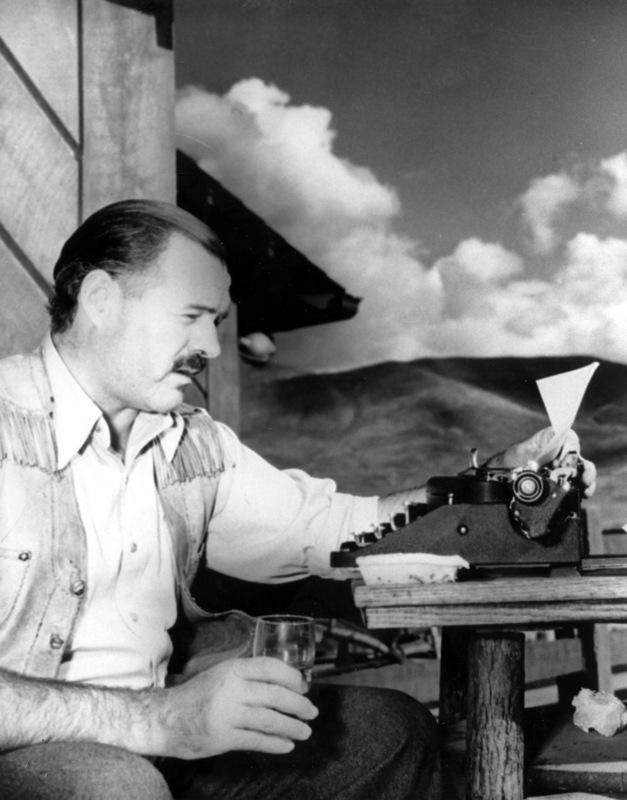 Hem also had a small bar built in his fishing boat and lovingly referred to tequila as "the steering liquor." Jeremy Glass is a staff writer at Supercompressor and his favorite Hemingway book is the one about the old man and the sea—or maybe he's thinking about The Hunt for Red October?